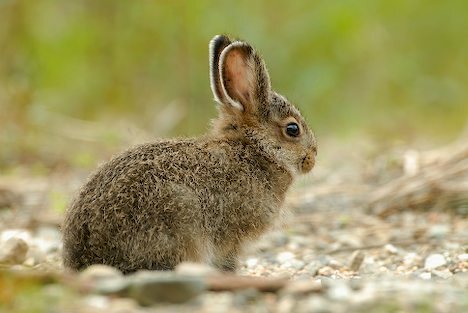 Animal Wildlife | Hare | The hare, closely related to the rabbit, is a small mammal found primarily in the Northern hemisphere. Although there are different species of hare found all over the world, the hare is most commonly found in Europe and North America with the Arctic Hare found inhabiting the freezing climates within the Arctic Circle. 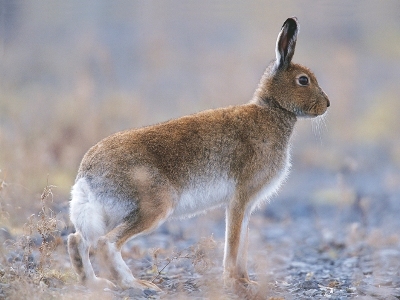 The hare is one of the fastest of all the smaller animals, with hares being able to move at speeds of around 45mph. The strong hind legs of the hare, combined with the large feet of the hare give the hare the ability to run so quickly. The hare is also able to jump over large distances with great ease. 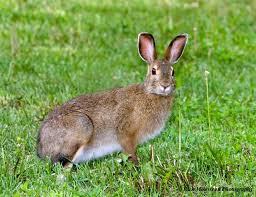 The hare differs from the rabbit mainly in size, as hares are much larger than the average bunny rabbit. The baby hares are also born with their eyes open and a full coat of fur, and these hare babies are often able to hop about after just a few minutes in the outside world. Hares have very long ears with along with their accurate sense of smell, allow the hare to detect any oncoming predators often before the predators have even noticed the hare. The hare then hops very quickly, in a similar way to a kangaroo, in order to make an escape to safety. There are over 30 different species of hare found close to farmland and open forests worldwide. 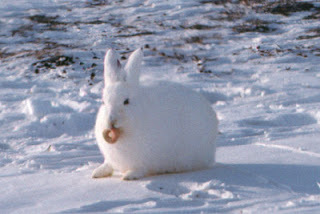 The hare is a very adaptable animal as there are species of hare also found in desert regions and of course, the bitterly cold Arctic Tundra. 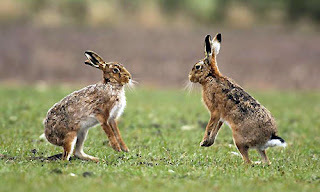 Due to the size and speed of the hare, the hare is generally not a first choice meal for many predators although there are a number of animals that will hunt hares. The predators of the hare include large birds of prey and wild dogs, and also humans who will often hunt hares both to eat and for pest control. 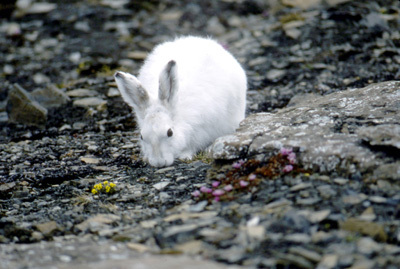 The hare is generally a calm and docile animal, as hares spend most of their time resting and foraging for food. The hare mainly eats plant matter (grass being one of the favourite foods of the hare) but hares also eat seeds, vegetables and fruit in order to fill them up. Hares have often been used as symbolic signs, the definitions of which differ with cultures, and hare are also one of the most common animals used in folklore and stories in many different cultures around the world.